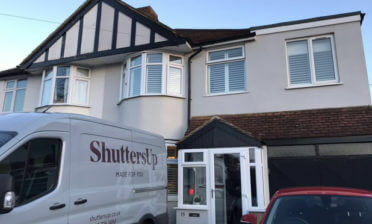 Tom was in Hamsey Green, Surrey to installed shutters throughout this property. 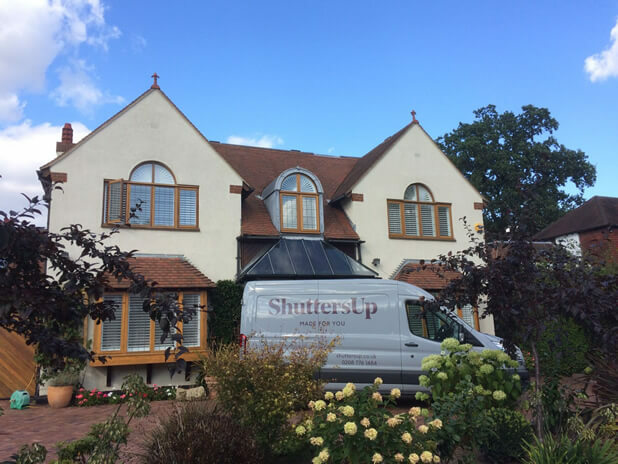 The areas included two bay windows on the ground floor and bedroom windows upstairs which required a mixture of sunburst and full height shutters. 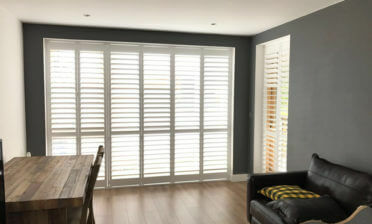 All shutters were created to match throughout the property, even with different shaped windows. 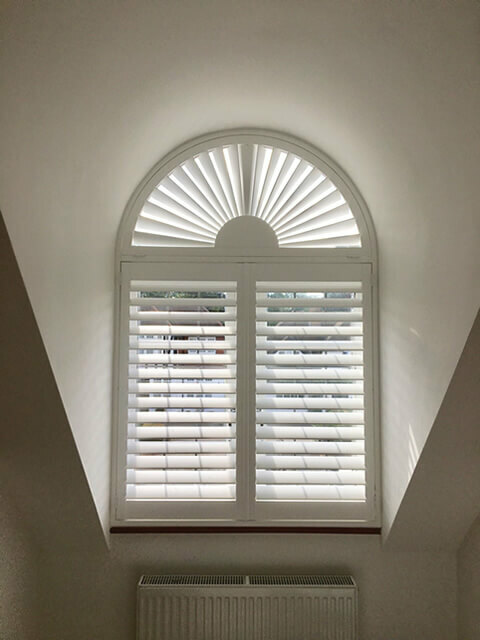 The upstairs windows consisted of a sunburst section at the top with full height shutters below, which tied in nicely with the full height shutters downstairs on the bay windows. 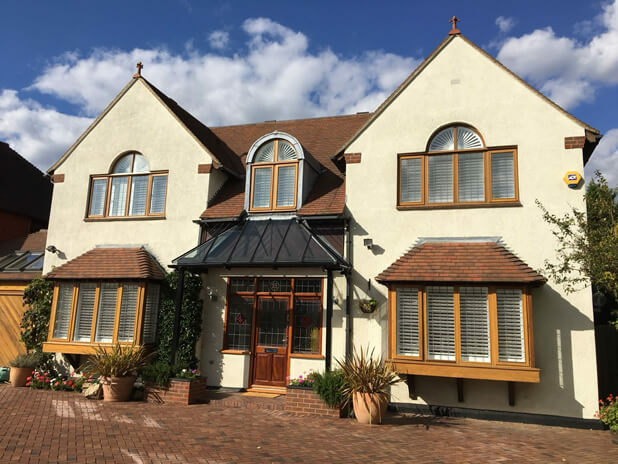 The sunburst special shapes perfectly fill the semicircle shape of the windows and the louvres can be adjusted like with normal shutters and make for a really interesting look both inside and outside of the property. 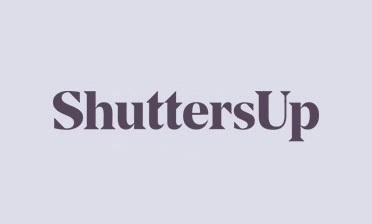 All shutters feature 64mm louvres with silent tilt rod systems, which mean that the shutters are adjusted without the need for visible tilt rods, creating a more modern, minimalistic look. We used hardwood from out Sumatra teak range and finished them all in silk white with white hinges!